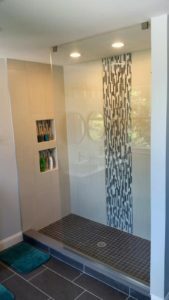 Updating your bathroom with a glass shower door is an investment that you'll want to maintain. 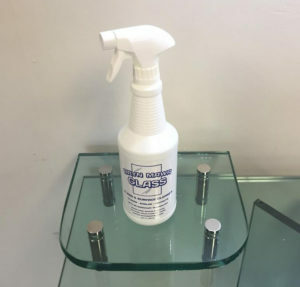 Bryn Mawr Glass recently started stocking two new products to help you do just that: a surface protectant that we spray on after installation in order to form an invisible shield on glass, and a cleaner our customers use to properly clean their surfaces each week. We know glass, so you can bet that these are high quality products that will give you the best possible results. It can be tempting to opt for a bargain product to clean glass, but while these are inexpensive, they require a significant amount of scrubbing compared to our quality product. The finish from these cheaper alternatives is often streaky and its application takes away the protective barrier on your surface. Our cleaner works well in conjunction with our surface protector. All you have to do is spray and wipe. With half the effort, the result is twice as bright. Purchase your cleaning solution in our Havertown shop and learn more about our products here.